Discover more about the traditional culture of the region of Tras-os-Montes in this interesting ethnographic museum. 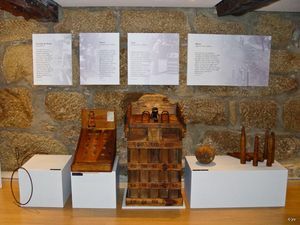 The Museu Etnográfico de Vila Real (Vila Real Ethnographic Museum) is devoted to the traditional culture of the high-plains of the surrounding areas, and features exhibitions about the production of linen, ceramics, farming techniques, games, musical instruments, and regional festivals. Largo de São Pedro 3, Vila Real. From 9:30 to 12:30 and from 14:00 to 18:00.